Basil was priest of Ancyra under the bishop Marcellus, and a man of a most holy life, and unblemished conversation, and had been trained up by saints in the practices of perfect piety. He preached the word of God with great assiduity, and when the Arian wolf, who bore his name, attempted to plant his heresy in that city, he never ceased to cry out to the people, with the zeal and intrepidity of a prophet, exhorting them to beware of the snares which were laid for them, and to remain steadfast in the Catholic faith. He was forbidden by the Arian bishops, in 360, to hold ecclesiastical assemblies: but he despised the unjust order; and as boldly defended the Catholic faith before Constantius himself. When Julian the Apostate reestablished idolatry, and left no means untried to pervert the faithful, Basil ran through the whole city, exhorting the Christians to continue steadfast, and not pollute themselves with the sacrifices and libations of the heathens, but fight manfully in the cause of God. The heathens laid violent hands on him, and dragged him before Saturninus the proconsul, accusing him of sedition, of having overturned altars, that he stirred up the people against the gods, and had spoken irreverently of the emperor and his religion. The proconsul commanded him to be tortured on the rack and put him in prison and informed his master Julian of what he had done. 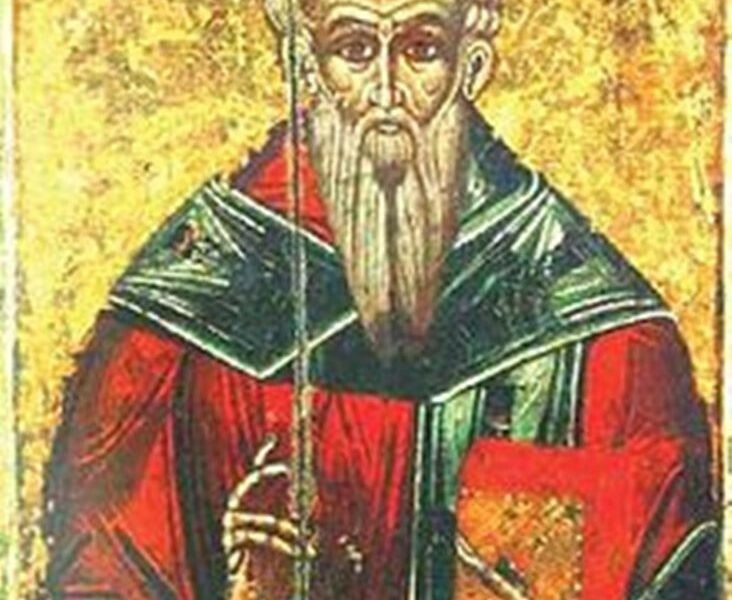 When Julian arrived at Ancyra, St Basil was presented before him, and the crafty emperor, putting on an air of compassion, said to him: “I myself am well skilled in your mysteries; and I can inform you, that Christ, in whom you place your trust, died under Pilate, and remains among the dead.” The martyr answered: “You are deceived; you have renounced Christ at a time when he conferred on you the empire. But he will deprive you of it, together with your life. As you have thrown down his altars, so will he overturn your throne: and as you have violated his holy law, which you had so often announced to the people, and have trodden it under your feet, your body shall be cast forth without the honor of a burial, and shall be trampled upon by men.” Julian commanded that every day a piece of his skin be torn off in seven different places. The saint, after having suffered with wonderful patience the first incisions, desired to speak to the emperor. Frumentinus would be himself the bearer of this message to Julian, not doubting but Basil intended to comply and offer sacrifice. Julian instantly ordered that the confessor should meet him in the temple of Esculapius. He there pressed him to join him in offering sacrifices. But the martyr replied, that he could never adore blind and deaf idols. And taking a piece of his flesh which had been cut out of his body that day, and still hung to it by a bit of skin, he threw it upon Julian. The emperor went out in great indignation: and count Frumentinus, fearing his displeasure, studied how to revenge an insult, for which he seemed responsible to his master. He therefore mounted his tribunal, and ordered the torments of the martyr to be redoubled; and so deep were the incisions made in his flesh, that his bowels were exposed to view, and the spectators wept for compassion. The martyr prayed aloud all the time, and at evening was carried back to prison. Next morning Julian set out for Antioch, and would not see Frumentinus. The count resolved to repair his disgrace, or at least to discharge his resentment by exerting his rage upon the servant of Christ. But to his thundering threats Basil answered: “You know how many pieces of flesh have been torn from my body: yet look on my shoulders and sides: see if any wounds appear? Know that Jesus Christ this night hath healed me. Send this news to your master Julian, that he may know the power of God whom he hath forsaken. He hath overturned his altars, who was himself concealed under them when he was sought by Constantius to be put to death. But God hath discovered to me that his tyranny shall be shortly extinguished with his life.” Frumentinus seemed no longer able to contain his rage, and commanded the saint to be laid upon his belly, and his back to be pierced with red-hot iron spikes. The martyr expired under these torments on the 29th of June, in 362. But his name is honored both by the Latins and Greeks on the 22nd of March.